Knowing that Baby Morgan 3.0 is due this spring just two weeks after Molly's birthday, I had wanted to do my best to make sure that Reed and Molly were both well celebrated as they turned five and three, and before the joyful newborn chaos ensued. 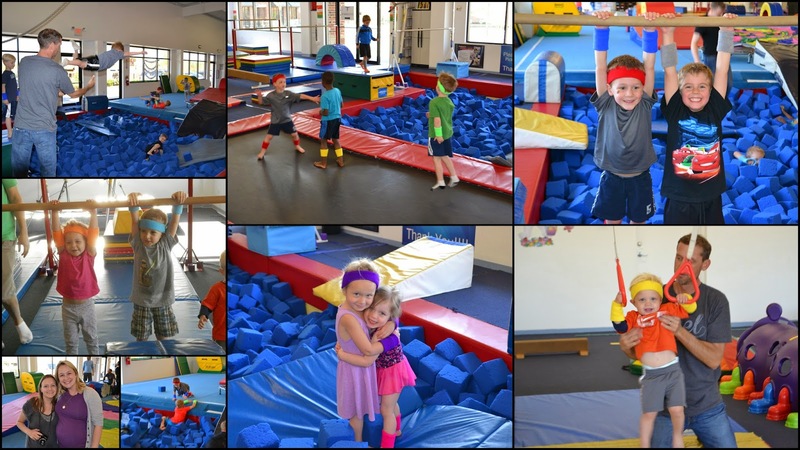 (Turns out, I didn't need to worry about baby coming early, but who knew...) So we planned what is likely R & M's last joint birthday bash as a gymnastics party at the gym where they are both enrolled in classes. 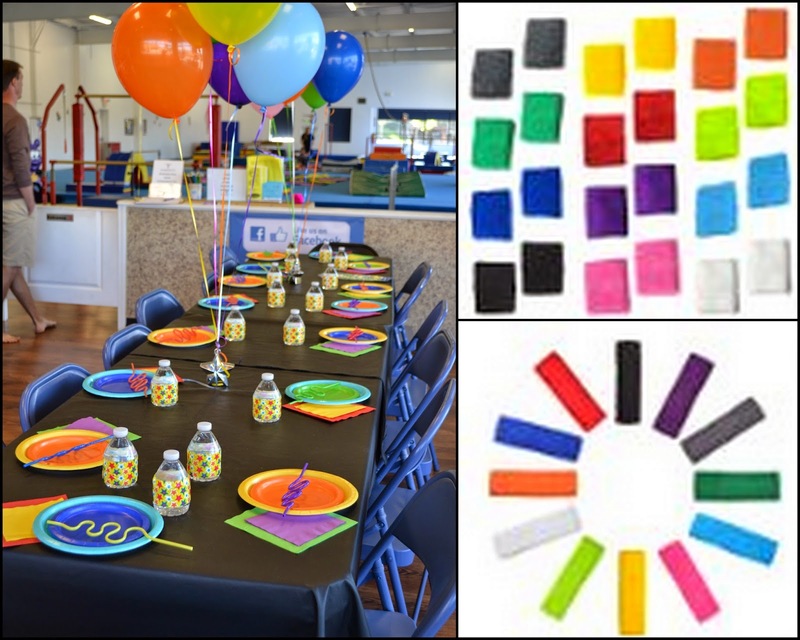 Coach Devin hosted the kids' party, and she did an amazing job! 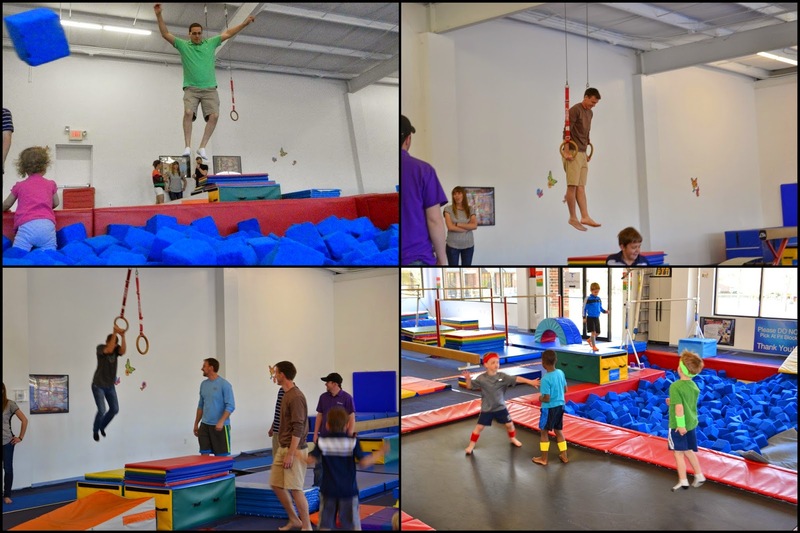 They also did some serious spinning on the rings. Molly went back for more dizzy fun with Aunt Katie! 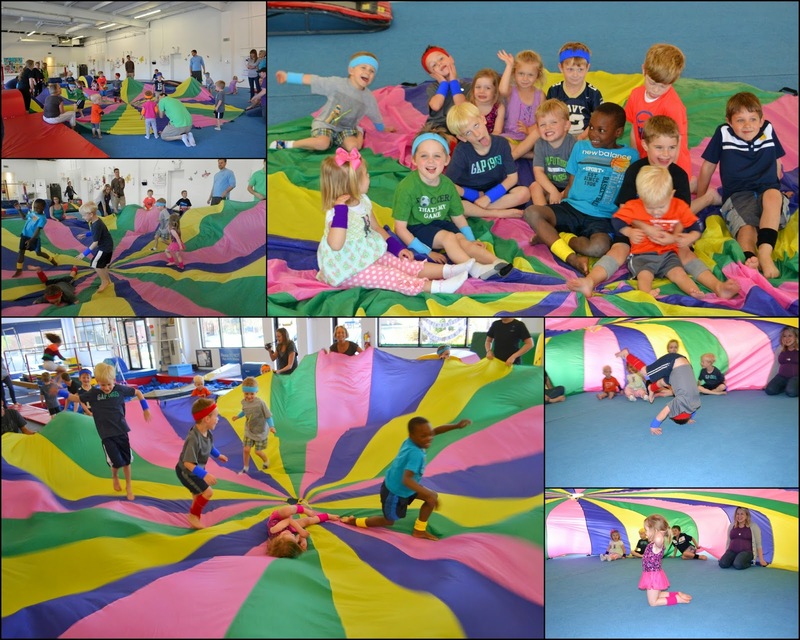 One of the favorite parts of party time was the parachute! 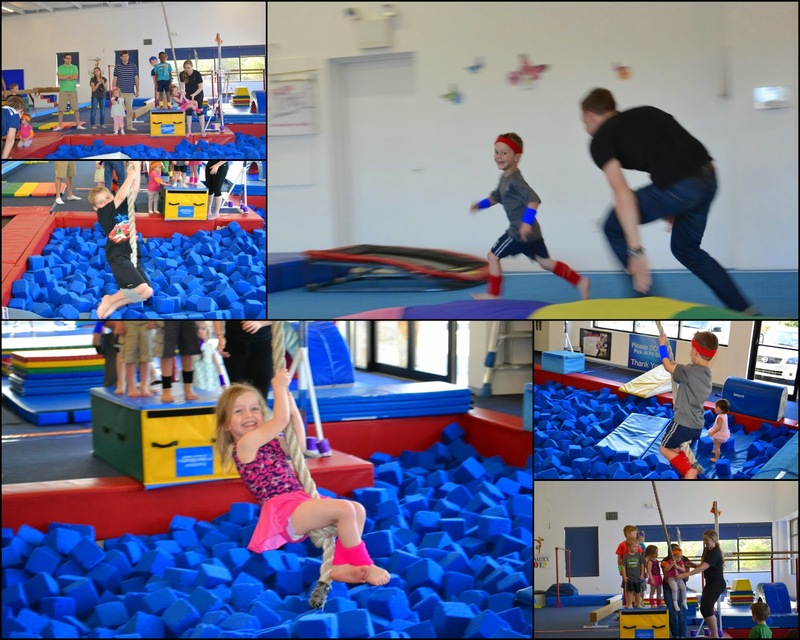 Reed and Molly got to run through birthday waves and be lifted up in the air by their pals. 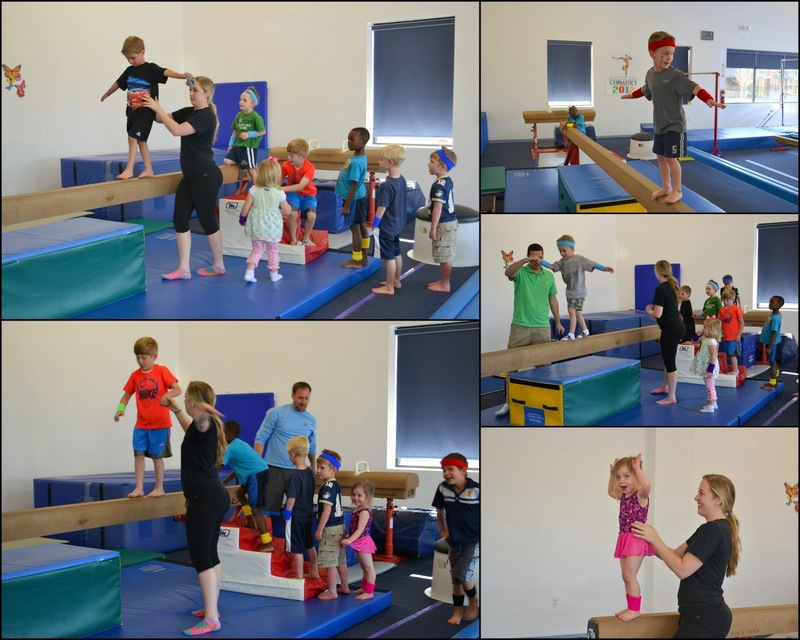 Then everyone got to take turns running over and under and performing tricks! 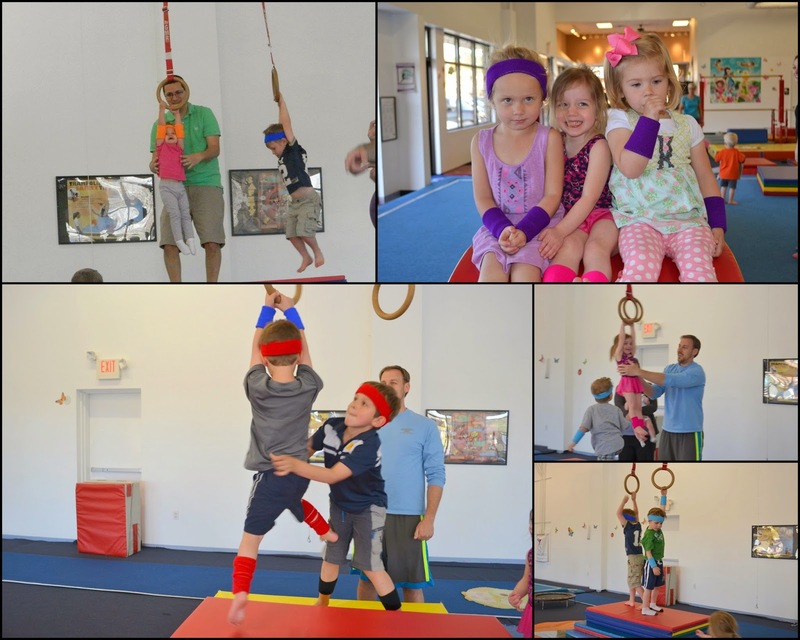 Last, the little gymnasts did some rope swinging and more open play. Pizza time was at the end! And then, of course, cupcakes! Grammy ordered Sam's Club cupcakes for us-- awesome price and we thought they were delicious. I was sure I could find some kind of star shaped candy or lollipops as easy toppers but ended up printing out some extra graphics from the invite design. Also cute! 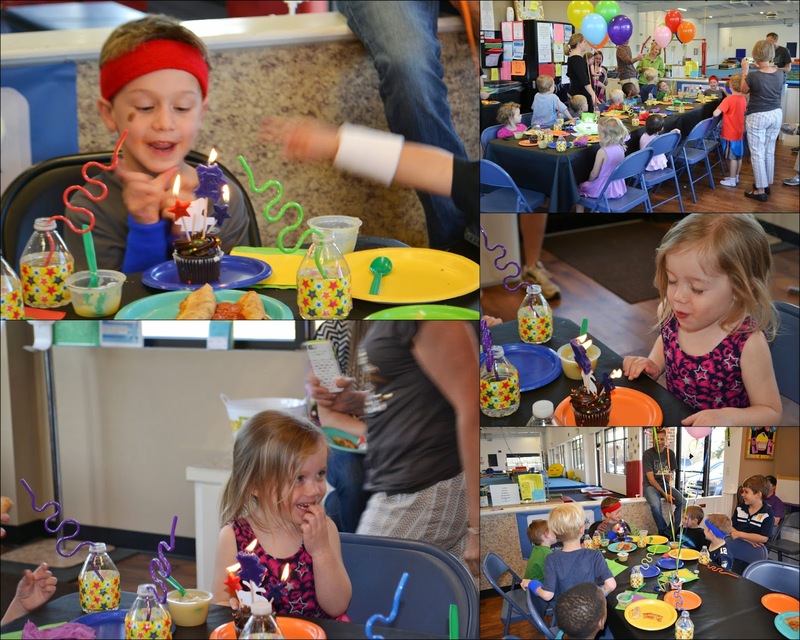 Happy Birthday to Reed and Molly! We saved gifts for home to preserve as much gym play time as possible, so we stayed up a little late opening presents! 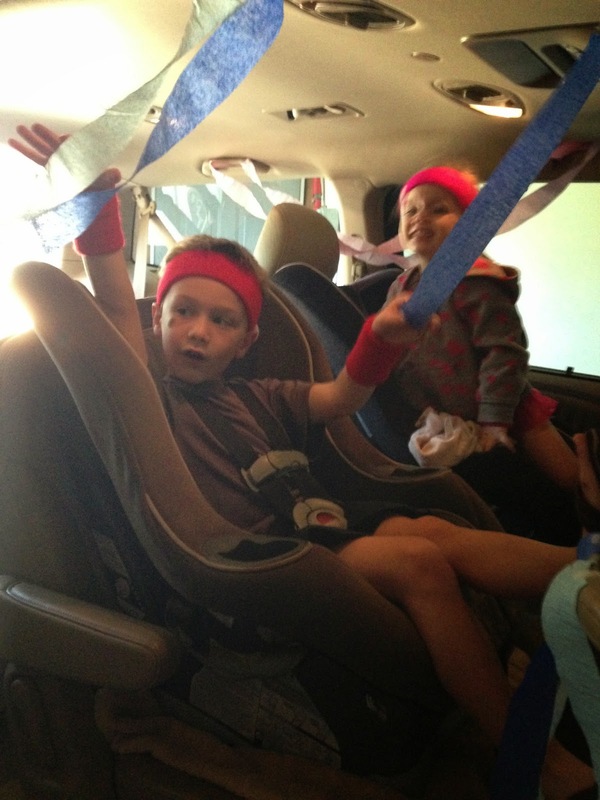 Oh, and as big fans of streamers they both LOVED Daddy's "party car." :) Woot!